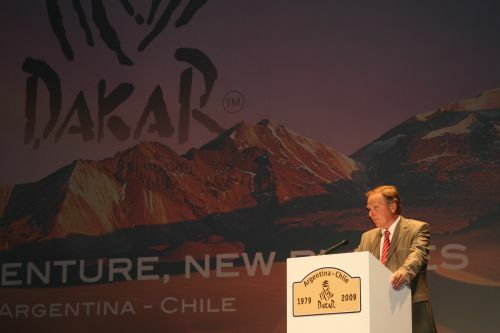 The Dakar 2009 is off to discover a new continent, South America that offers unlimited possibilities to amateurs of wide open spaces. 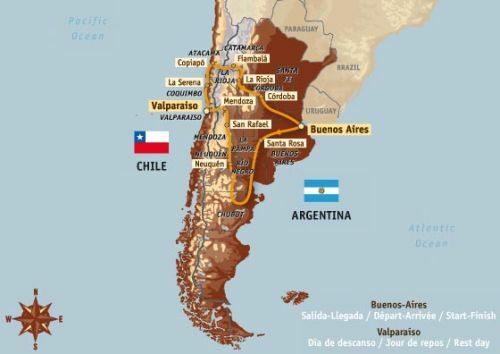 The round trip to Buenos Aires, via Valparaiso is a challenge in which the most enduring competitors will find their way and have the opportunity to distinguish themselves. With close to 6,000 kilometres of specials and difficulties scattered on the whole course, the battle for the title will remain wide open until the finish. The extent of Argentina with over 3,500 kilometres from north to south gives the country the status of "other giant" of the continent. On a territory marked by the natural and cultural contrasts, the distances are always long: we are in the register of immensity. the travellers, the amateurs of maps and more specifically those in love with off-road rallies, the study of the place sees new ideas spring up all the time. 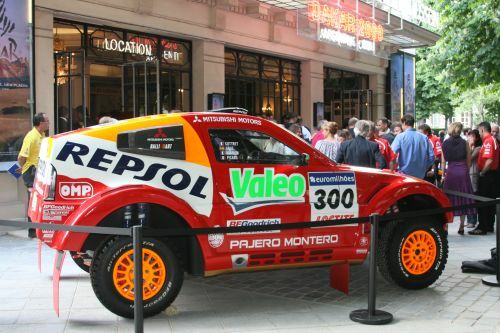 In Argentina, the competitors of the 2009 Dakar have the insurance of taking on an extreme endurance event. 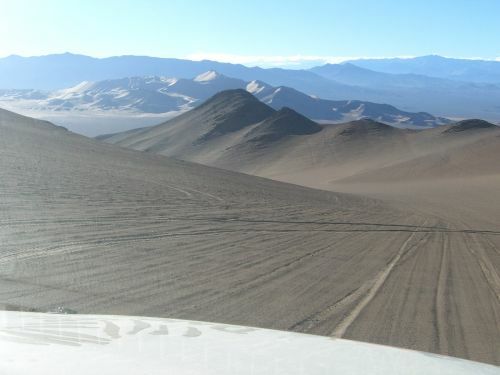 While it isn't completely a "Tour of Argentina", the course imagined, taking off and heading back to Buenos Aires gives the bikers and drivers the opportunity to express themselves on all types of terrain. First of all heading south, those loyal to the rally will witness fast tracks with a lot of kilometres to cover as of the first days of racing. After having tasted the 'hard' part, the competitors will then discover the 'soft'. On the way back, several sandy stages will allow dune crossing experts to play their part. The crews that will make it to the finish will have visited a total of ten of the twenty-three provinces of the country: enough for the tastes of all. With a distance of close to 3500 kilometres between the Bolivian border and the extremity of Terra Del Fuego, Argentina has the aspect of a country-continent. Its dimension on the north-south axe as well as on the east-west line, gives the country several faces. 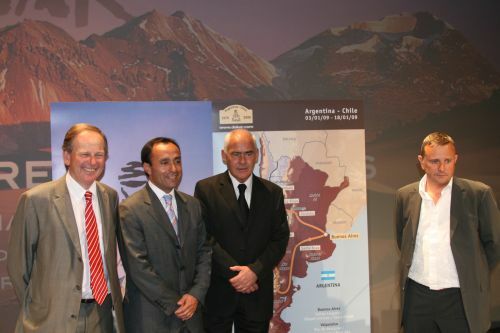 On a climatic, mountainous and life style point of view, variety marks the many areas of Argentina. A welcome land for the Spaniards during the first waves of immigration in the XVIth century, and then for Italians, Germans and French attracted by the prosperity of the capital in the XIXth century, Argentina has through different periods invented a one-of-a-kind cultural model that the Europeans have easily acclimated to. The whole country lives at the rhythm of the Albiceleste national football team, victorious of the World Cup on two occasions in 1978 and 1986 and also winner of fourteen Copa America trophies. While the nation's sport hero remains Diego Maradona, it was however the squad of Passarella, Ardiles and Kempes that for the first time led the blue and white team to a planetary success. And striker Gabriele Battistuta, Batigol, emblem of the after Maradona era holds the record for international goals scored with the national team (56). The passion for football doesn't await the big international events to express itself. The Buenos Aires derby between Boca Juniors and River Plate, in the Bombonera stadium is considered as one of the wildest of the planet. Many other ambassadors have nourished the front pages of the newspapers around the World staring with Guillermo Vilas, a pioneer of the Argentinean tennis school who managed great performances on clay. While she failed to triumph like her elder at Roland-Garros, Gabriela Sabatini did however conquer the US Open title back in 1990. 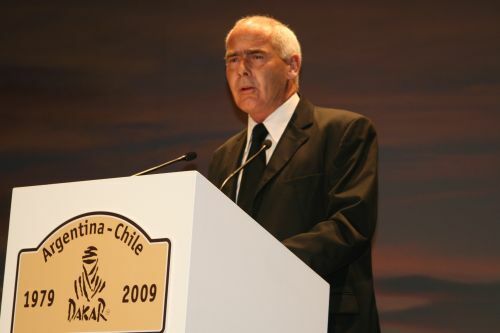 In the men's event, Gaston Gaudio lifted the Musketeers trophy at the French Open in 2004, 27 years after his mentor in a 100% Argentinean final against Guillermo Coria. The patriotic pride of the Argentineans also found a way of expression during the Athens Olympic Games where the basketball team led by Manu Ginobili, overcame the American favourites and then the Italians on their way to conquer gold. Also in white and blue, the Pumas troubled the international rugby hierarchy when they finished third of the 2007 World Cup played in France. In motorsports, Juan-Manuel Fangio, a five-time F1 World champion in the fifties, of course remains the reference driver in the history of the country. His successor is still to come but the master gave many, the desire to compete. Indeed, all disciplines put together, the Argentine Motorsports federation is one of the most important in the World. 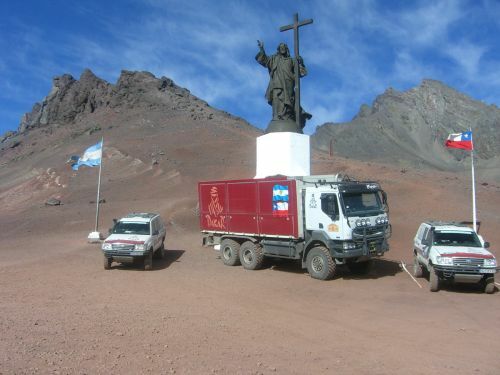 In off-road rallies, the Por las Pampas event has become one of the important dates of the season. On its record book are names such as Luc Alphand, Jean-Louis Schlesser, Bruno Saby or Marc Coma. 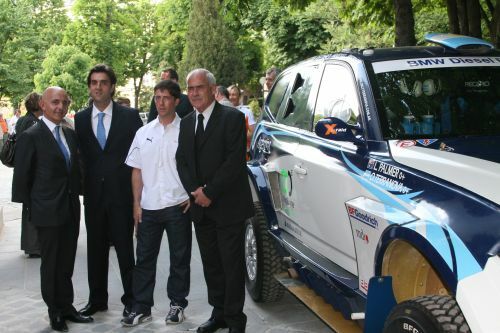 On the Dakar, the bunch of experienced Argentineans has for the moment failed to impress, despite the fact that the Sergio Gora - Pablo Gomes crew managed on two occasions to finish the event, with an excellent 45th spot overall in 2002. It is probably at home that the show will take place. Population: 39 921 833 inh. Chile is also the kingdom of superlatives: one will find there the longest range of mountains in the world with the highest volcano; as well as the most arid desert on the planet and the highest dunes that can exist. Such a frame can only ideally suit the toughest rally in the world that first of all calls for adventurers eager for wide open spaces. It is with that approach that the competitors will head towards Valparaiso, where other travellers like Jack London or in the imagination of Hugo Pratt, the famous Corto Maltese have set foot. Before enjoying a rest day on the shores of the Pacific Ocean, the competitors will have to cross through the Andes Cordillera. This obstacle will probably force the race average speed to drop down. It will mainly give all unique images and memories. 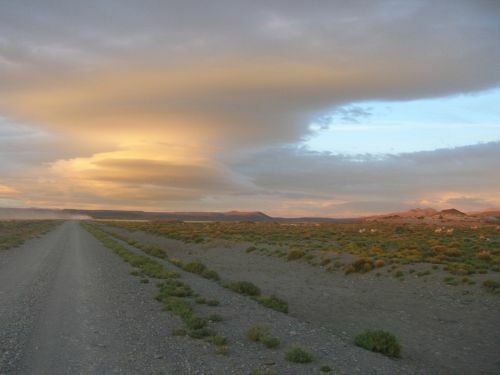 The energy drawn from these landscapes will anyhow be essential at the moment of entering the Atacama Desert. Having experience in dunes will be at least as useful as the ability to navigate. For the champions like for the others, there are serious risks of loosing minutes and hours in the Chilean sand. Long and slim. Chile's physiognomy, with limits stuck between the Pacific Ocean on one side and the Andes Mountains on the other, makes it one of the longest countries on the planet. With 4300 kilometres from north to south (close to a total of 5400 km of sea line! ), Chile has no equivalent in the domain. On the other hand its width never exceeds 349 km and even drops down to around fifteen kilometres in the south. On this filiform territory all the types of climates are witnessed as well as depth. From the Atacama Desert, known as one of the most arid in the World to the top of the Ojos del Salado, the highest active volcano on the globe (6893 m), Chile offers a wide range of different landscapes. Concerning encounters, the variety is also impressive: one can easily meet lamas but also Emperor penguins! Not as much a king as for its neighbours, Chilean football can boast a third spot earned during the World Cup organised at home in 1962. The performances of the Colo-Colo club, winner of the Copa Libertadores, or of its expatriots in Europe Marcelo Salas and Ivan Zamorano, however give the country an excellent reputation. Concerning the Olympics, a tennis pair offered the nation its very first gold medal thanks to Fernando Gonzalez and Nicolas Massu. Another Chilean player, Marcelo Rios, impressed when he became the number one player in the World ranking despite never managing to win a Grand Slam tournament. In motorsports, it's on two wheels that the best Chilean representative performed. 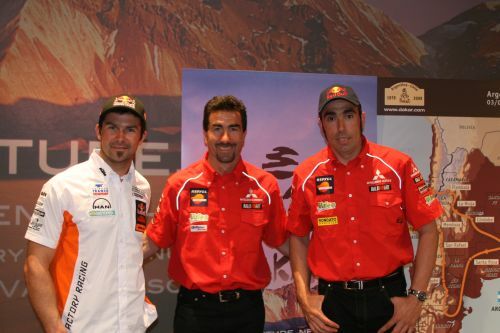 A talented enduro rider, Carlo De Gavardo mainly shined during the Dakar where he finished five times in the top 10, clinching third spot on the podium in 2001. Decided to switch to cars, he also started a career as a team manager. De Gavardo also showed the path to a talented prospect in the discipline, the winner of the 2006 off-road World Cup in the 450cc class, Francisco "Chaleco" Lopez. Population: 16 150 000 inh.